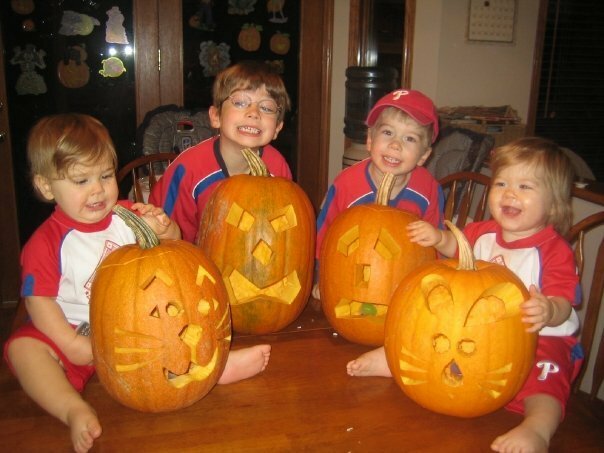 Elmer's grandchildren (L to R) Natalie, Conner, Andrew, and Elizabeth October 2008 at their home in Lockport, Manitoba, Canada with World Series Fever! Grandson Conner. Halloween 2011. Conner plays Defense for the St. Andrew's Aces. On the ice they call him "Stonewall" because it is very difficult for the opposing team to get past him. 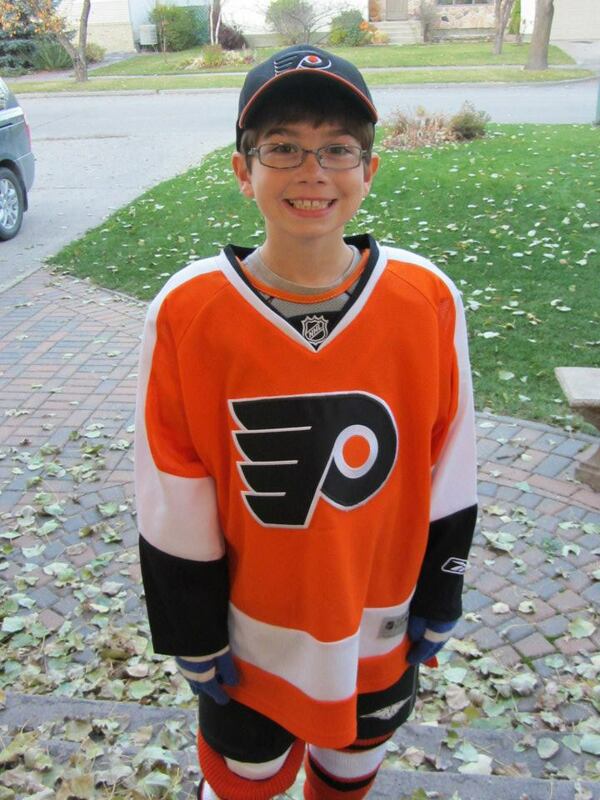 His favorite player is Bobby Clarke. Brings a tear to your eye doesn’t it? I have no idea how my daughter will turn out, but I hope to God that she loves Philly sports at least half as much as those kids. Elmer has served as an inspiration to me and hopefully to all of you fellow displaced phans out there. Keep fighting the good fight everyone! This entry was posted in Philly Sports and tagged baby, Canada, Flyers, kids, parenting, Philadelphia Flyers, Philadelphia Phillies, Phillies. Bookmark the permalink.